In the pre-industrial tourism age, adventure travel was pretty much a do-it yourself affair. You found a sturdy vehicle and a trusted traveling buddy then headed for Mexico or Marrakesh or Mali. You let the travel gods decide your fate. The good and bad experiences balanced out and shaped your world view. Back in the 1960s the world was a much different place and we didn’t need guides. It was the age of independent travel and we thought we were bullet proof. We didn’t need GPS systems or travel insurance, hell we had an oil stained Michelin map, knew how to read a compass and enjoyed taking chances. If we had to we would bribe a border guard to get into a country. We did it. Somehow we survived to tell a few tales and have the grainy photos and videos to show for it. Today we’ve changed and so has the world. We’re not as young and spontaneous as we were and recognize the need to have a guide help us navigate terra incognito. But not just any guide will do, we seek guides who are professional and possess specific skills for specific destinations. In a less safe world they can shield us from the unknown. Hire wisely because not all guides have the requisite chops to help you deal with altitude sickness atop Kilimanjaro or Delhi Belly at Everest Base Camp or a river crossing on the Mongolian steppe. Generally, the quality of guides, while improving, is still all over the map. When Lewis and Clark headed into the American West’s uncharted bush in the early 1800s they needed a guide and if weren’t for Sacagawea, a young Shoshone woman, they would have gotten scalped. She spoke native languages, knew where the mountain passes were into and over the Rockies and was able to convince other tribes that Lewis and Clark were not out for conquest, just scientific discovery. That’s what a good guide in any era can do for you. Deal with the locals to provide safe passage, find the best routes and interpret everything that flies or slithers in your path. Fast forward to the dawn of the adventure travel age. 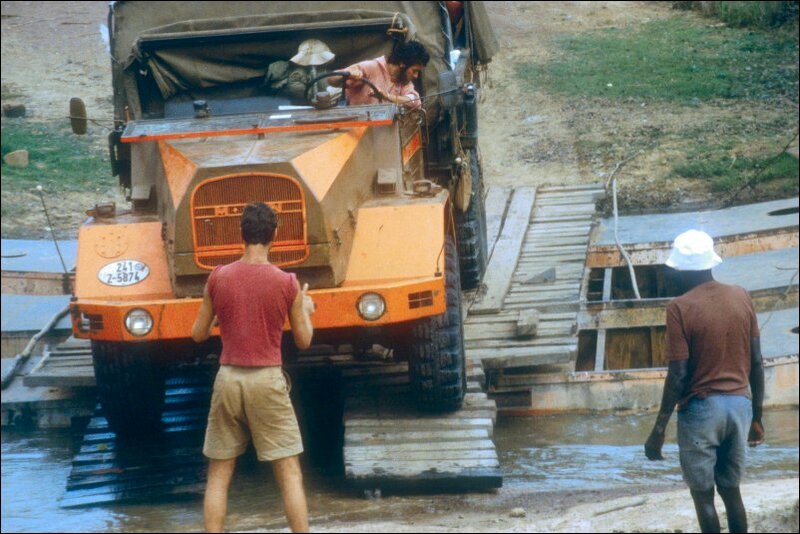 For Americans in the 1970s and early 1980s Manifest Destiny meant getting on a jet then getting stoned in Kathmandu or bumping overland in a flatbed WW II vintage army truck across Africa to climb Kilimanjaro. Guides back then were a motley crew of tough guys who had traveled, knew how to use a gun or a knife, but didn’t know much about what we were seeing. They could fix the truck and were good around the campfire where they would get drunk with you and if you were pretty, keep your sleeping bag warm. In those days it was easy to become an adventure travel guide. It didn’t pay much but you were doing what you loved, traveling while avoiding the boring life your parents wanted you to lead. You were going with the flow seeing the world and learning on the fly. Their was no training and there were few rules. You made them up along the way. Adventure travel started becoming commodified with the success of the guide book industry (Lonely Planet, Rough Guide) that by the late 1980s birthed a new generation of college educated adventure junkies (“I’m not a tourist, I’m a traveler”) who sought out exotic locations like Asia, South America and Africa. The companies running the trips took a more serious look at their guides and came up with a formula. Send over an American guide who could shepherd and entertain the group, but hire a local guide who could deal with language and cultural issues to provide safe passage. Training was not in depth especially for the local guides who were poorly paid and terribly equipped especially on Kilimanjaro climbs. The business was growing so fast companies didn’t have much of an interest in guide training and were more concerned with maximizing profits at their guide’s expense. Many guides were willing to work for low pay and hope to survive on client tips. The Internet era made it easy for anybody who had a computer to get into the adventure travel business. You created a web booking engine and delegated to local contractors to run your trips. Guides were hired by these contractors and their abilities were hit, but often times miss. Today on Kilimanjaro many guides have low skill sets especially when it comes to dealing with high altitude medical issues. Some of the companies that bridge the Independent-Internet eras like Tusker retained a hands on approach. Tusker’s founding guide, Eddie Frank, knew the importance of guiding after being in the field since the early 1970s. He wanted to hire guides who had a passion for sharing adventure and their culture. They had to care about their clients and treat them all equally. Their personalities and knowledge about Kilimanjaro had to be as big as the mountain. A good guide could make or break a trip, but also a company. Eddie decided to build an elite guide team based on training, above market compensation and staff loyalty. Promotion came from within and today, Tusker’s team on Kilimanjaro has mostly veteran guides who have been with Tusker for a decade or more. All are trained for high altitude medical issues and have helped many clients adjust to Kilimanjaro’s thin air by monitoring their progress throughout the trip. When a problem arrived they could either treat it or accompany the client to lower elevation. William Murphy was doing fine until his Tusker group camped out in Kilimanjaro’s crater in 2014. Guide Kombe Happyfrais entered William’s tent at 2 am and would spend the next two days with him giving oxygen and the meds that tamed William’s altitude sickness. He also gave William the psychological backup to assuage the disappointment of going down. At dawn he walked William down the mountain to Mweka Camp. “As we continued down the mountain, and in one of the most touching moments of my life, as I was making a rather pathetic explanation for not handling the altitude better, Kombe replied, ‘Papa, I’ve watched you and you are a very strong man with the heart of a lion.’ I will never forget that and it will be a moment I will always cherish. Kombe not only displayed his obvious competence, intelligence and dedication that night, but he also did so with such grace, modesty and humanity that it truly touched me,” William wrote in a letter to Eddie. Eddie found Kombe working on a Kilimanjaro cleaning crew and saw his potential. With some trust and training, Kombe became one of Tusker’s top guides and is one of the the first Tanzanian born guides to work on Tusker’s Everest Base Camp trips in Nepal in 2018. A good guide transcends destinations across the world. When Tusker expanded into South America’s Torres del Paine National Park in 2017 it needed to hire the best local guides and Andrew Springsteel, Tusker’s South American guide, found Alejandro on a scouting mission. “I knew he would be great because he had the right combination of soft people skills but could be firm enough to get a group to be ready to go at 8:15 a.m., Andrew said. On Tusker’s first Patagonia trip things didn’t go totally as planned. There were changes en route, but because Andrew had put the right guide team in place, things worked out. When a catamaran that was to transport the group across the glaciated Grey Lake failed Andrew along with Alejandro had to adjust. “There was an hour and a half where we didn’t know how it would work out, but Alejandro grew up in Puerto Natales and had worked ten years in the park. With his contacts we were able to pull off a different route that included four hours of hiking and a shorter boat ride.” In another mishap, one of the group’s boots blew out, but Alejandro was able to borrow a pair of boots from a park employee he knew to keep the Tusker client on the trail. Having the right guide whether it is in Tanzania or Chile can make a big difference on your trip. Your relationship with your guide can be the difference between making it to the summit or not. As a traveler we bond first with our fellow travelers, but it’s not a bad idea to establish a rapport with your guide early on. Show an interest in him or her breaking the ice before you get into the field. Every guide’s personality is different, some are jovial and easy to get to know others more reserved. In either case show that you trust them or are willing to learn from them. Show your vulnerability not your arrogance. When they want you to slow down on a steep trail section early on the trip heed their advice. Guides on Tusker treks around the world are there for a reason. They have grown up in this exotic terrain and have experience. They want you to succeed and see your success as their reward for doing their job. It’s rare for a guide to become rich and famous. For every Tenzing Norgay there are thousands of guides toiling in obscurity just doing their job wanting to please their client. Part of their reward is learning from you and are curious about the exotic world you come from. This is a shared learning experience that can sometimes be as memorable as reaching the top of the mountain.